Congress held a Consultative Hearing on proposed amendments to the Consumer Act of the Philippines and invited were PAGASA’s VP Fred Gravador (leftmost) and Pres. Steve Cua (2-L). Other resource people were Dept. of Trade & Industry’s Dir. of the Bureau of Trade Regulation and Consumer Protection Atty. 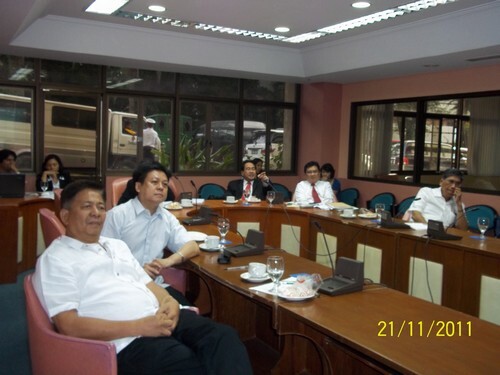 Victorio Mario Dimagiba (rightmost in pic where Rep. Rufus Rodriguez points to the slides) and Phil. Retailers Assn’s. Exec. Dir. Evelyn Balmeo-Salire and VP for National Affairs Atty. 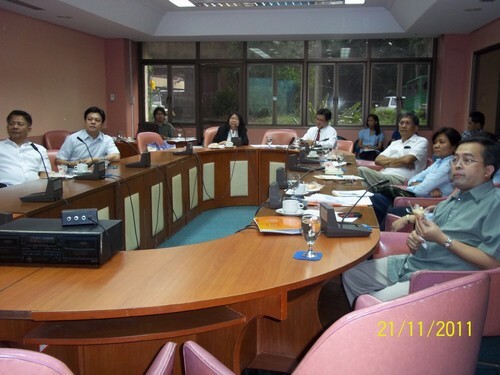 Paul Santos (in green). This Technical Working Group will provide the inputs for the final draft to be approved by the sponsoring Congressmen of this Bill.